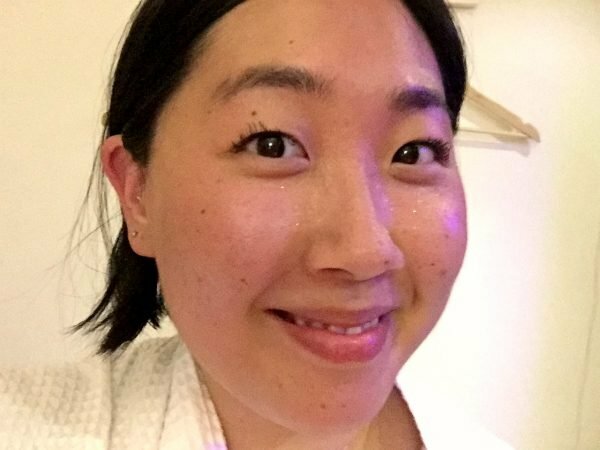 "I paid $39 to sweat inside an infrared sauna. These are the benefits." Are infrared saunas worth the hype? We asked a doctor to get the facts backed by science. Get ready to start seeing people on your Instagram feeds sweating it out in infrared saunas, because this is the latest trend influencers like Sammy Robinson and Steph Smith are loving. Gone are the mist-filled and tiled sauna rooms, which are being replaced with new ‘infrared sauna technology’ which use infrared light to create heat. Speaking as someone who voluntarily locked herself up in a wooden, infrared sauna box for 45 minutes, I’m a fan. Trialling the treatment at Surry Hill’s yoga and wellness studio, Body Mind Life, I arrived to my appointment well-hydrated, as per the website’s instructions, and ready and eager to sweat it out. 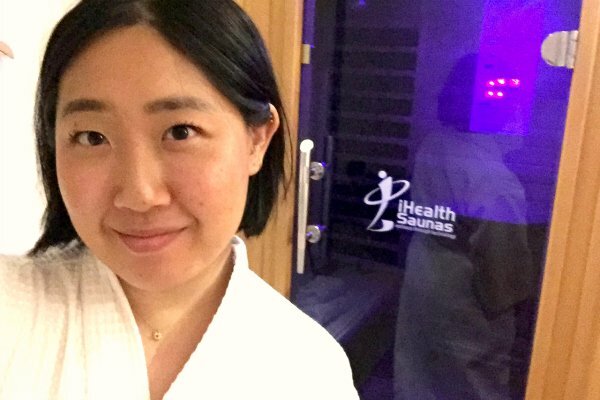 Once I checked in with the receptionist, I was led to a private, dimly lit room which smelt pleasantly of essential oils and in front of me was a wooden, infrared sauna box which had been preheated to 65 degrees celsius. I then took off the bulk of my face makeup (the studio recommends you go in with ‘clean skin’ to “clear out all the toxins and impurities”), de-clothed and spent the next 45 minutes sitting on a towel letting my body do its thing perspiring. To keep myself entertained, I listened to a podcast through the aux cord connected internal speakers. You can also buy one of these infrared saunas for your house. While some of the benefits of the treatment include better sleep, relief from sore muscles and joint pain, making it great for recovery post-exercise, in 2017 Gwyneth Paltrow also claimed to E!Online that she believed the therapy helps "clear toxins, decrease inflammation, soothe muscles and increase your overall energy". Other celebrities like Jennifer Aniston, Lady Gaga and Cindy Crawford are also fans. Personally, I thoroughly enjoyed the experience as well. I found the &apos;dry heat&apos; created by the infrared light to be much more tolerable and less overwhelming than the steam-filled variety which can often leave me light-headed. According to Livestrong, you can also burn up to 400-600 calories in one 30 minute session, which is pretty amazing, especially when compared to the fact that 30 minutes of jogging or swimming burns around 300 calories. Despite this, I was hesitant about the other reported claims. Did I walk out of the studio feeling positively relaxed and de-stressed? Absolutely, but could I confidently say I also felt more energised? Not really. I was also hoping that the sauna would help soothe my strained hip muscles - a result from my poor running technique - but apart from some evident immediate, short-term relief, the familiar pangs came back after maybe half an hour. There&apos;s also the price. One 45-minute session at Body Mind Life will cost you $39 and although you can get a discount on multiple session bundle deals, the therapy isn&apos;t cheap. Just in case you were wondering, this is what the inside of an infrared sauna looks like. Are the benefits of infrared saunas backed up by science? To get an official opinion, I spoke to Sydney-based GP, Dr Ginni Mansberg to get the medically-backed lowdown as to whether &apos;sweat-therapy&apos; actually works. "I think you&apos;d expect me to say, there&apos;s absolutely no evidence, it&apos;s all baloney, don&apos;t get ripped off, but you&apos;d be surprised to hear me say, there&apos;s actually a little bit of evidence," she said. She quoted a 2009 study in the Can Fam Physician which suggested that there was "limited moderate evidence" which supported the efficacy of far-infrared saunas to normalise blood pressure and treat congestive heart failure, with one study also suggesting that there was "fair evidence" that the therapy supported suffers of chronic pain. "The evidence is mainly in the space of heart failure, where there&apos;s a theory that it might be useful for growing new blood vessels," she said. "There was also one very small trial for chronic pain [and while participants said] they actually felt better, it wasn&apos;t long-lasting. They couldn&apos;t walk out of the infra-red sauna and go back to work. Dr Ginni added that some of her patients with chronic back pain also anecdotally report that they felt better after using infrared blankets. Despite this, she specified that more research-backed evidence was needed. "The evidence around heat is definitely emerging and whether it&apos;s going to be around infrared technology or heat in general, I&apos;m not sure," she said. 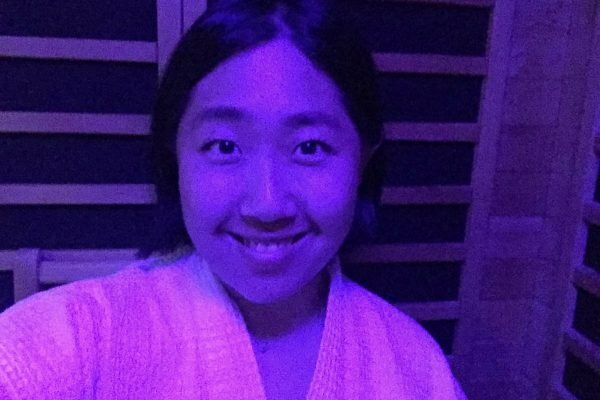 However, when it came to infrared saunas supporting the stimulation of the immune system, Dr Ginni was much more hopeful around the future research. 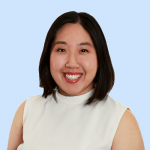 "The thing that most interests me is the evolving area of research involving heat and particularly the research that&apos;s coming out around heat and the stimulation of the immune system," she said. "We used to think the role of heat was to create fever - which is the body&apos;s own use of heat to help battle infection - but it seems to be more than that, it seems to activate the immune system." But what about for the average, healthy consumer? 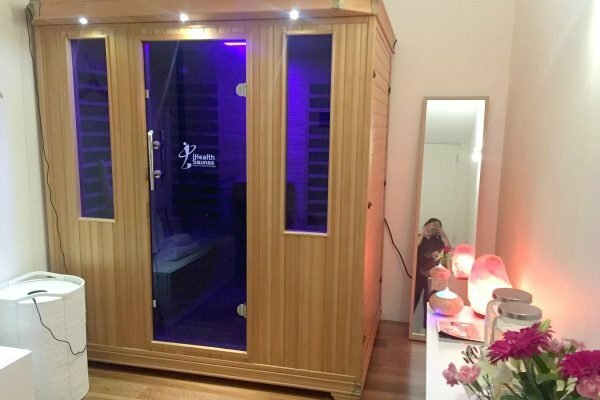 Well although Dr Ginni is quick to discredit any claims of the sauna&apos;s ability to &apos;detox of the body&apos; (which she states is unnecessary), she says the treatment seems to be "pretty well tolerated with no adverse affects listed in the published studies". "Once we talk about detoxification, we&apos;re solidly out of my space of evidence-based medicine. Your body is equipped with amazing detoxification abilities in the form of your liver, your skin, kidneys and bowels that we don&apos;t need any other chemicals to detox us," she clarifies. "There&apos;s really no need for anything on that scale, and in terms of needing to get rid of toxins for weight gain, there&apos;s no evidence in that whatsoever. "But if you&apos;re doing it for the enjoyment or because you find it fun, then go for it." Have you tried an infrared sauna session? What were your thoughts? Tell us in a comment below!